In the late 1970’s, leaders in Northeast Georgia determined there was a need to undertake a comprehensive regional water study. Through the efforts of our Congressional Delegation, funds were made available to allow the U.S. Army Corps of Engineers to conduct the Northeast Georgia Water Resources Management Study. That study, completed in 1987, indicated that future water resources planning in the region would be the responsibility of local and regional entities, as there were no identified navigational concerns or flood control issues along existing waterways. At this point, basin groups were formed to continue the planning efforts. The most active group, by far, was that in the Upper Oconee Basin, including Barrow, Clarke, Jackson, and Oconee Counties. The Basin Group was diligent in carrying out a number of studies related to such factors as environmental concerns, archaeological and historic resources, the numbers of existing residential and commercial structures, wildlife, endangered species of plants, existing public utility lines, and others. Ultimately, the search for an impoundment site was narrowed to four locations. It was the consensus of the group that a site in the southwestern corner of Jackson County on Bear Creek, which feeds into the Middle Oconee River, was the best location for construction of a reservoir. 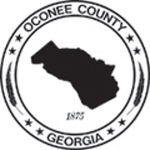 Members of the Basin Group, working with local officials throughout the region and those on the state level, drafted legislation to create the Upper Oconee Basin Water Authority which was passed by the General Assembly in 1994. The Authority is authorized to secure governmental permits, licenses, and approval to proceed with the design, financing, acquisition, and construction of reservoirs and related improvements. In return, the Authority is obligated to deliver an allocation of water supply to each member based on population ratios and water consumer count at the time the legislation was enacted. 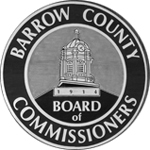 Following creation of the Authority, it moved expeditiously to engage a consultant and obtain a Section 404 Permit from the Corps of Engineers. Such permit was issued in 1998. The project was completed and dedicated in 2002. The reservoir includes 505 acres and contains approximately five billion gallons of water. It is impounded by a 90 feet wide earth filled dam. Construction of the dam required approximately 400,000 cubic yards of earth. The amount of water in the reservoir at full pool is equal to an area of 14,980 acres covered with water at a depth of one foot. 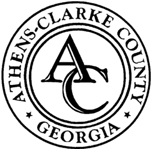 An associated treatment plant, with a current capacity of 21 MGD, provides treated water to Barrow, Jackson, and Oconee Counties. A raw water line extends from the reservoir to an existing treatment plant down stream in Clarke County, providing raw water to that jurisdiction. Initial estimated construction costs for the reservoir and treatment plant were $21 million and $32 million respectively. There were additional costs associated with the effort, including program management, legal, land acquisition, administrative, financial advisors, appraisals, and design. However, the project was completed at an amount approximately $6 million under budget. Additional savings were realized later when the bonds were refinanced.